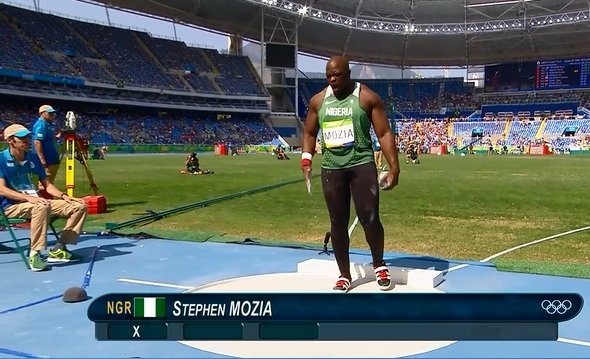 Stephen Mozia entered the Olympic Games shot put qualifying round with the third best mark in the world. In our minds, he was a dark horse contender for an Olympic medal. Unfortunately, it was not meant to be as Mozia did not qualify for the finals. He only had one legal throw in the competition – 18.98 meters, a mark that ranked him 28th in the field. Only the top 12 advanced to the finals. HepsNation’s remaining athlete is Kate Grace, who will compete in the women’s 800m semifinals tonight at 9:27pm ET. She’ll be in the third heat with South Africa’s Caster Semenya, Great Britain’s Lynsey Sharp, and Belarus’ Marina Arzamasova. The top two in each heat and the next two fastest times will advance to the finals. This entry was posted on Thursday, August 18th, 2016 at 1:48 pm. It is filed under Olympics, Spotlight. You can follow any responses to this entry through the RSS 2.0 feed.